Have you considered hiring a professional packer for your move? If you didn’t know, you can actually skip the packing process yourself and just hire someone else to do it for you. It’s a great way to make your household move much less of a burden and something you can look forward to again. In fact, it might actually be cheaper for you to do hire someone rather than to try to handle the move yourself. Take a look at this factor and more benefits of using a professional packer for your move. One of the emotions you may be feeling with this move is worry. You may be feeling worried about how you will get everything done in time. You may be worried about how your items will fit on the moving truck. You may even be worried about things happening to your household goods in shipping. When you hire professional packers, the stress can melt away. They will efficiently pack and move your goods in a matter of so many days rather than weeks on your own, they will handle the safe transfer of the goods, and all you will need to do is get yourself and your family from one home to the other. All you will have to do is schedule the dates you want everything to happen and let the packing and moving crew to handle the stress for you. Not only are you saving time with all of the weeks you won’t be using to pack up the house, but you’ll be saving time throughout the whole move. 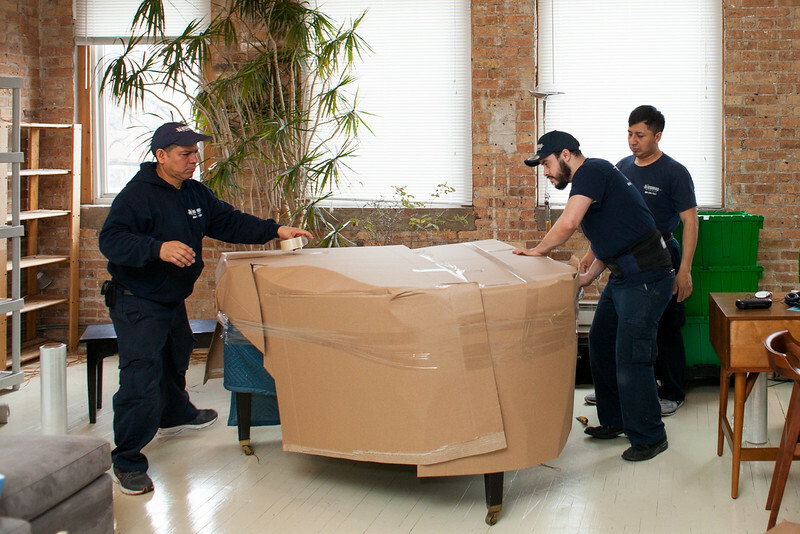 Professional movers will pack everything up in a jiff and in addition will be able to load everything faster than you would on your own using their larger trucks that are eliminating extra trips. While it will feel good to have that time saved for other things before the move, you’ll also find that it cuts back on your time needed away from work and other obligations. You’ll be able to keep working all the way up until the move since you’ll only be needed for a few hours here and there for supervising the packing and moving, while the process at destination will also be a quick one as the movers bring the boxes to the room of the house you need for you to unpack at your leisure. Isn’t time really money? Speaking of money, you’ll save a bundle too. It may sound more expensive to hire packers and movers, but in reality, you’re hiring someone to save you time, energy, and packing supplies. The cost of moving yourself compared to hiring packers and movers will likely end up being more. You’ll be giving up your time, your availability at work, your wallet to all of the supplies you need, and the additional time you’ll spend hosting a yard sale when you realize you have more than you want to pack. You’ll also have the safety net that your items are insured under the transit insurance provided with hiring a professional packing and moving company which means that in the very small likelihood that you have a problem, you’ll be able to get it resolved without losing money that you’ll spend replacing it yourself if you moved your own goods. Stop wasting time deciding if you should DIY your move. Hire a residential moving service and make sure everything gets done cheaper, more efficiently, and much faster! Contact The Professionals Moving Specialists today!